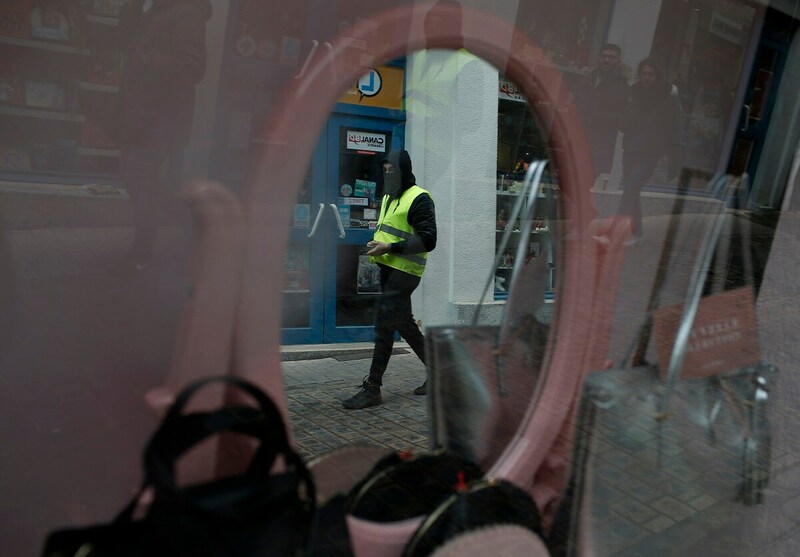 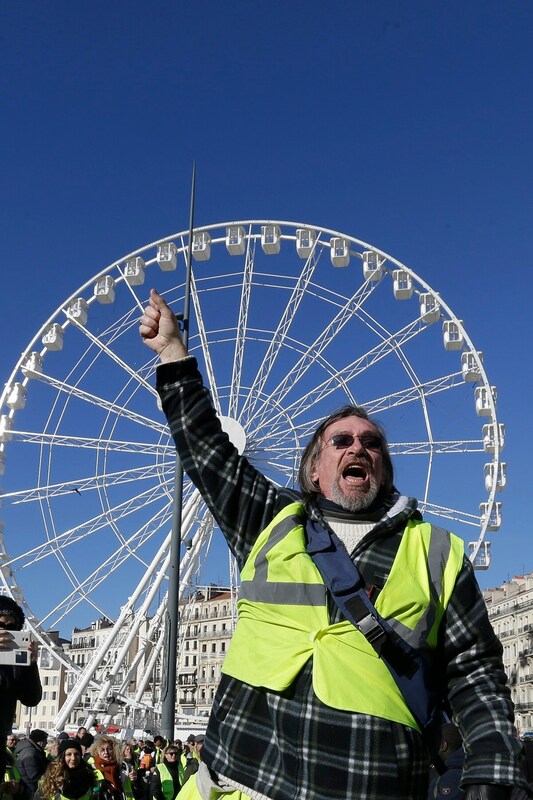 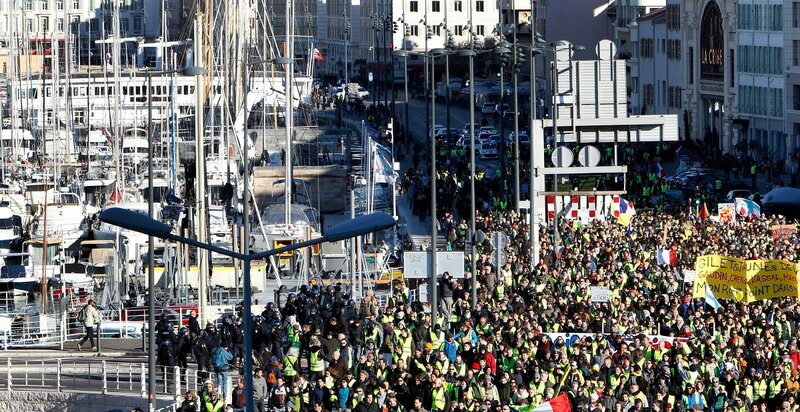 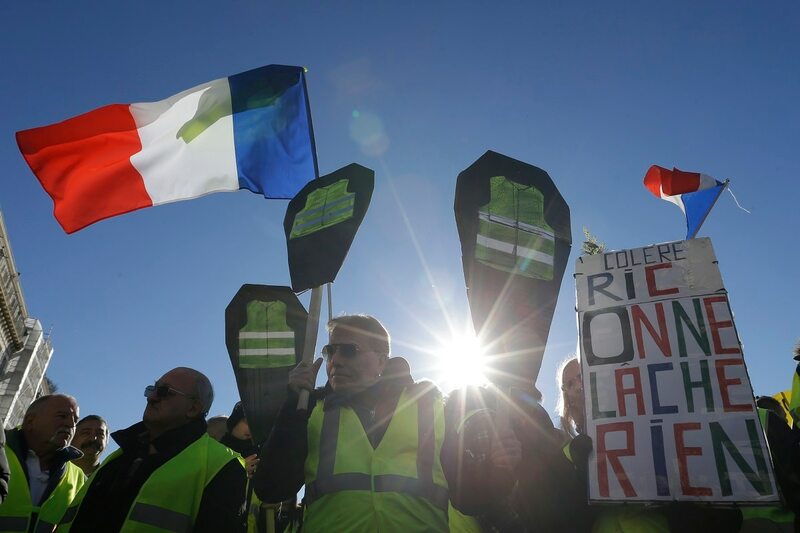 Thousands of yellow vest protesters have marched through Paris and other French cities for a ninth straight weekend to denounce President Emmanuel Macron's economic policies. 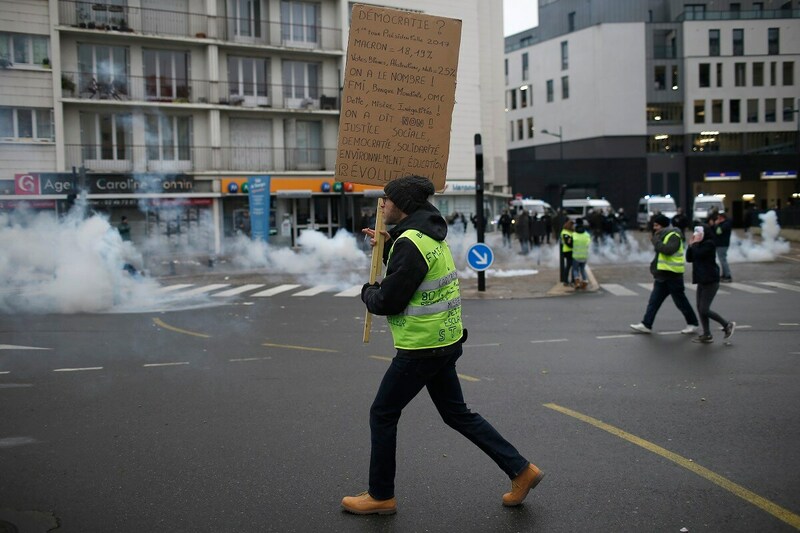 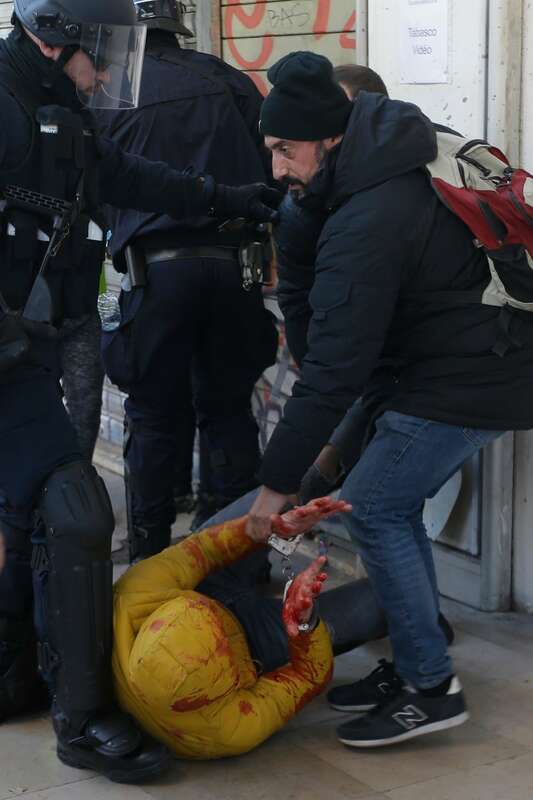 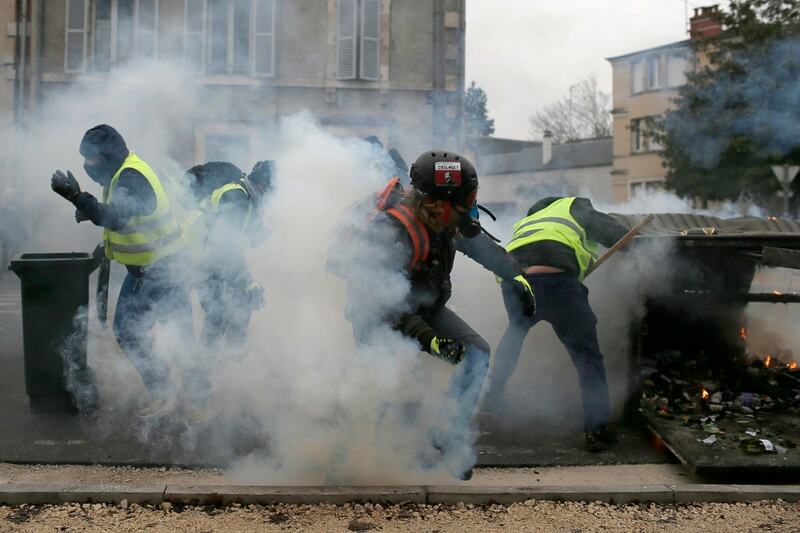 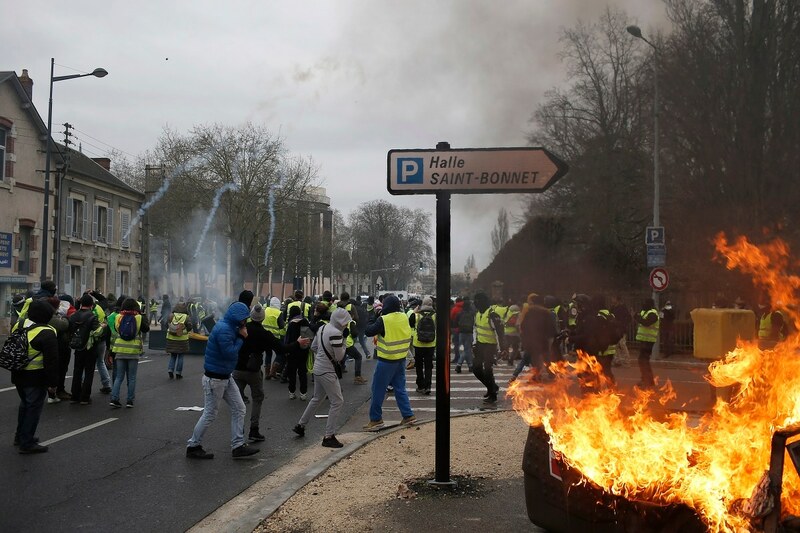 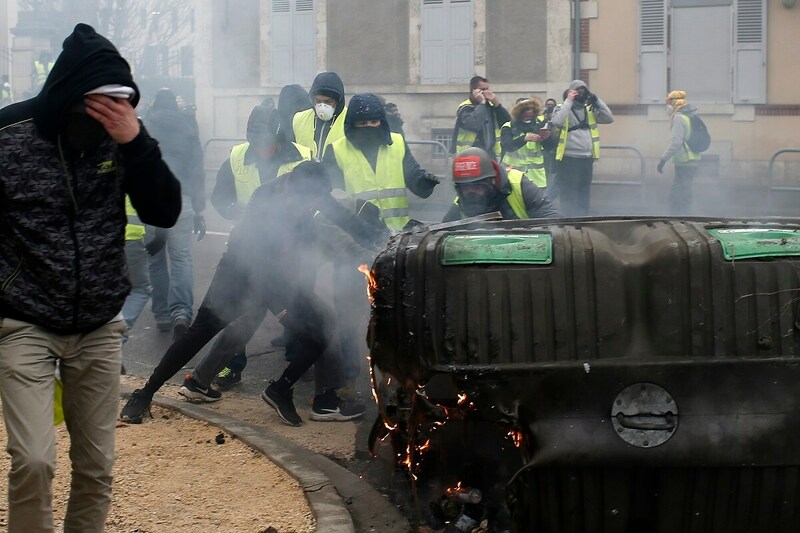 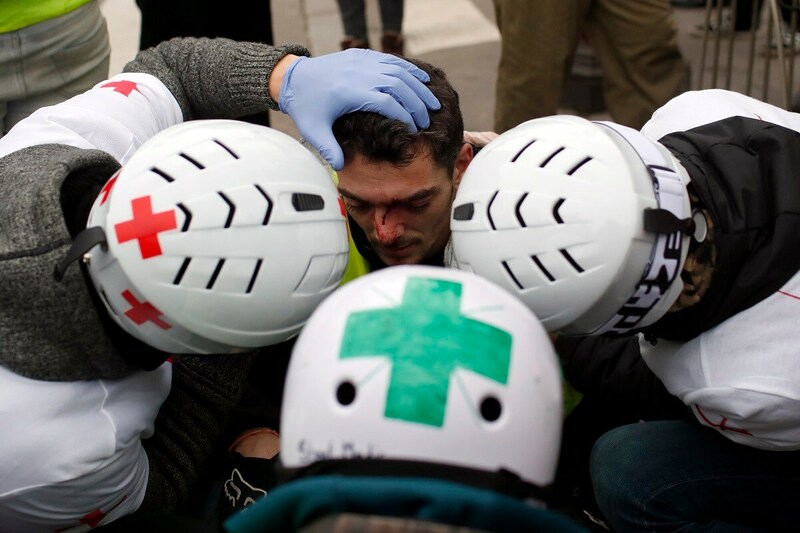 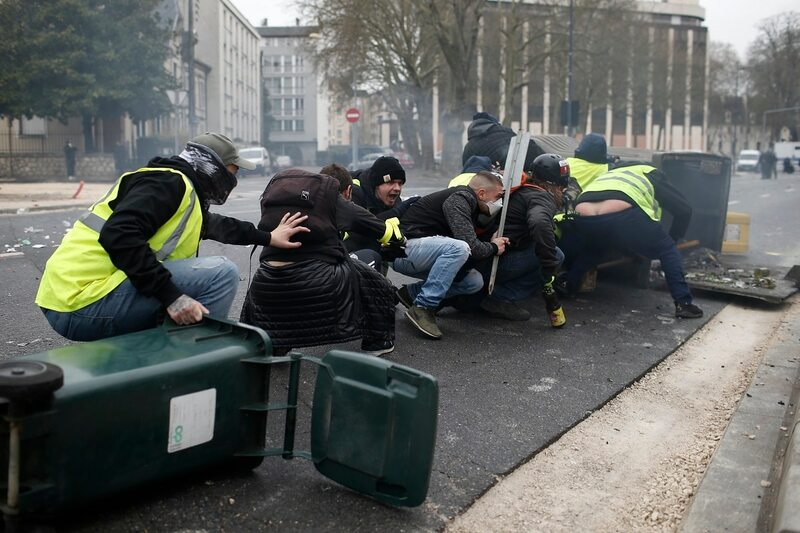 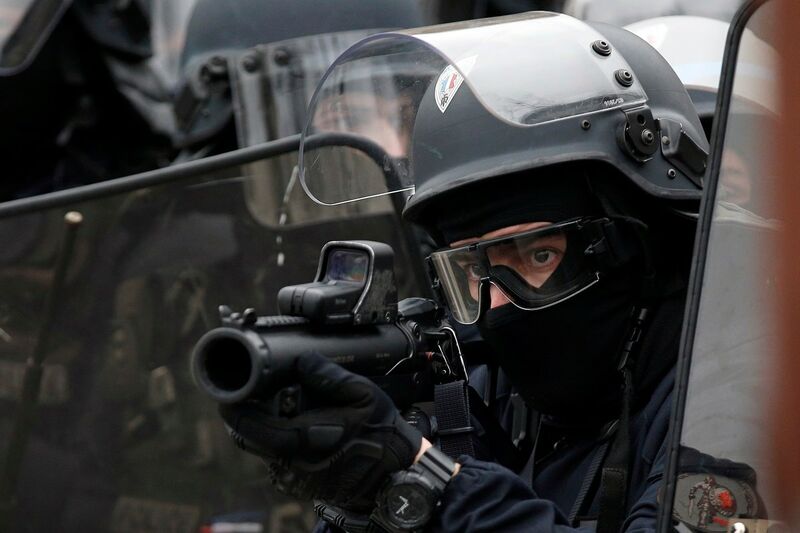 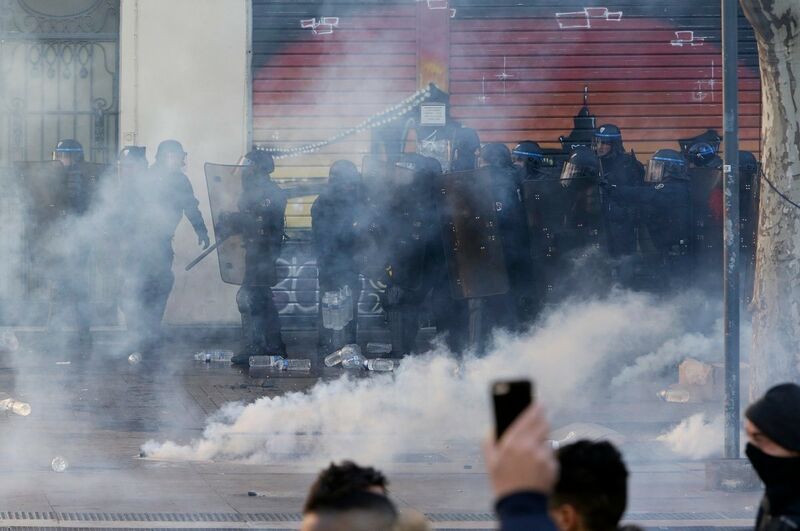 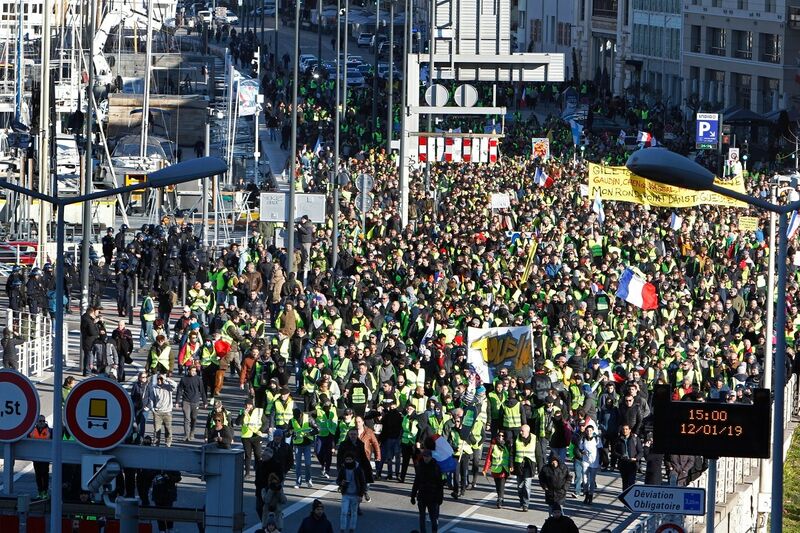 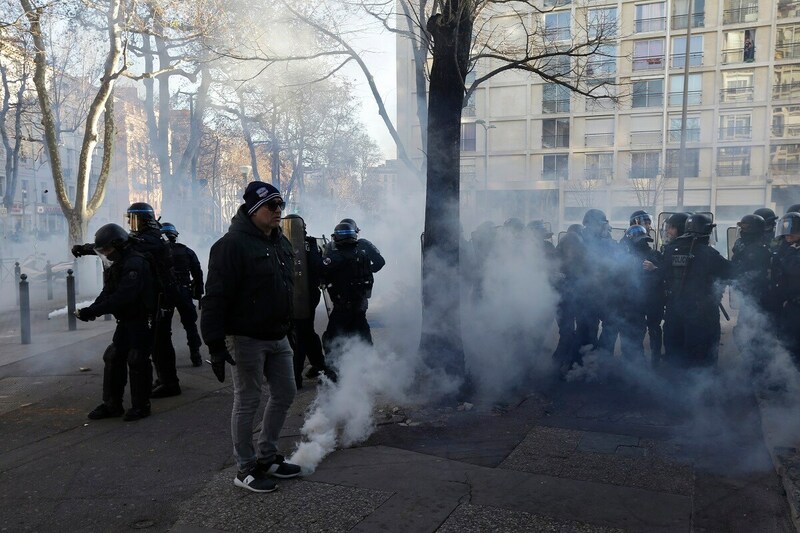 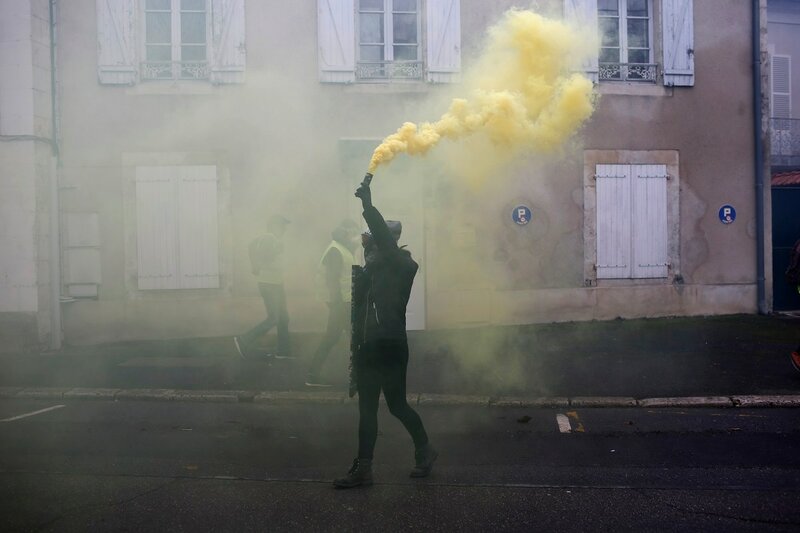 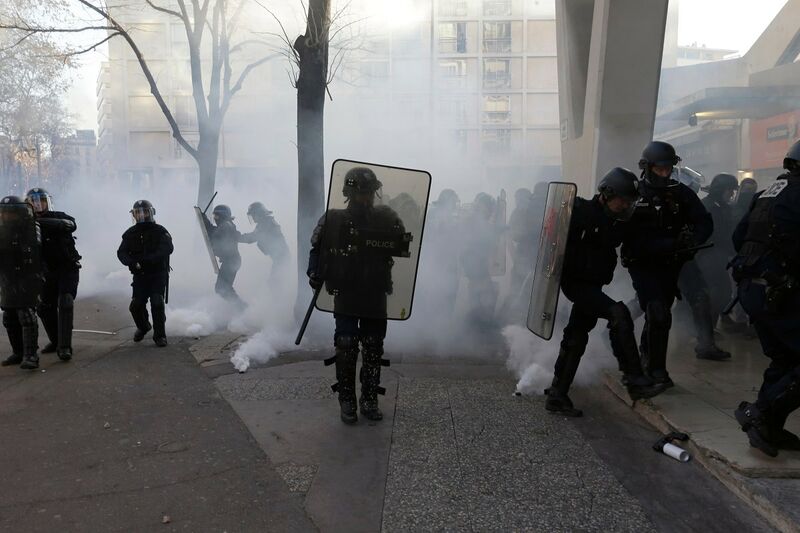 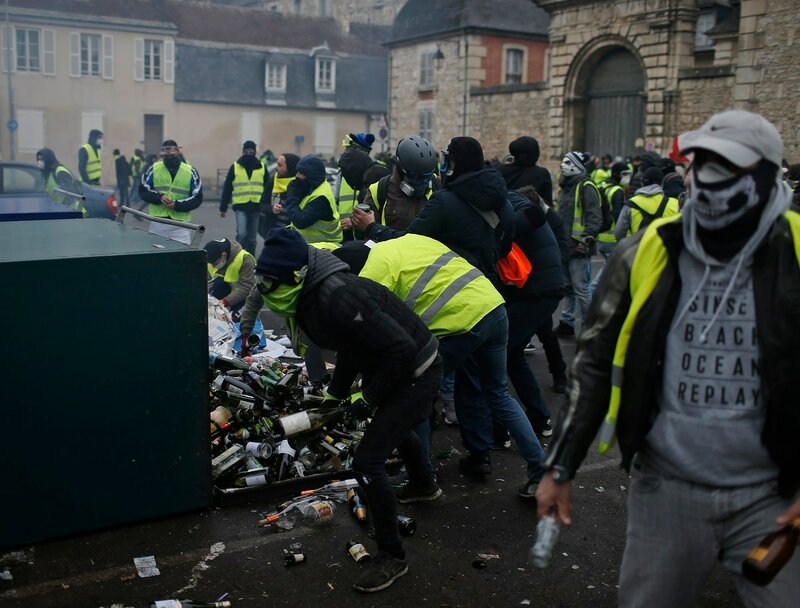 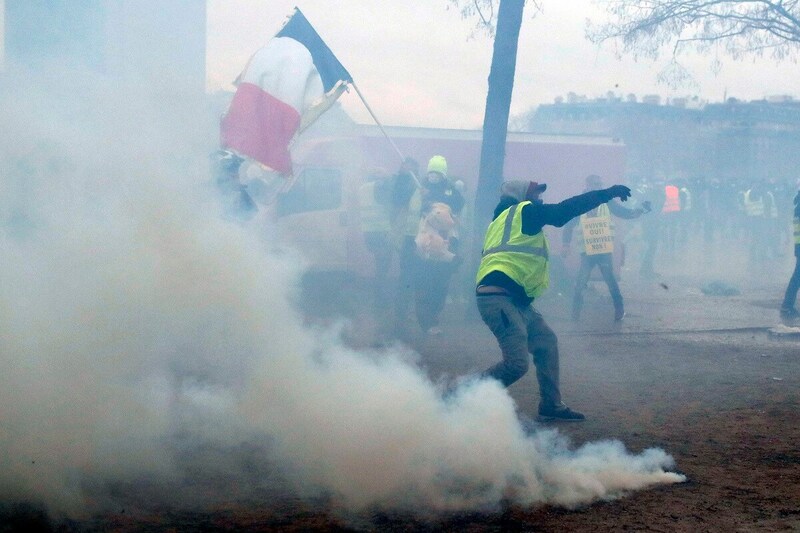 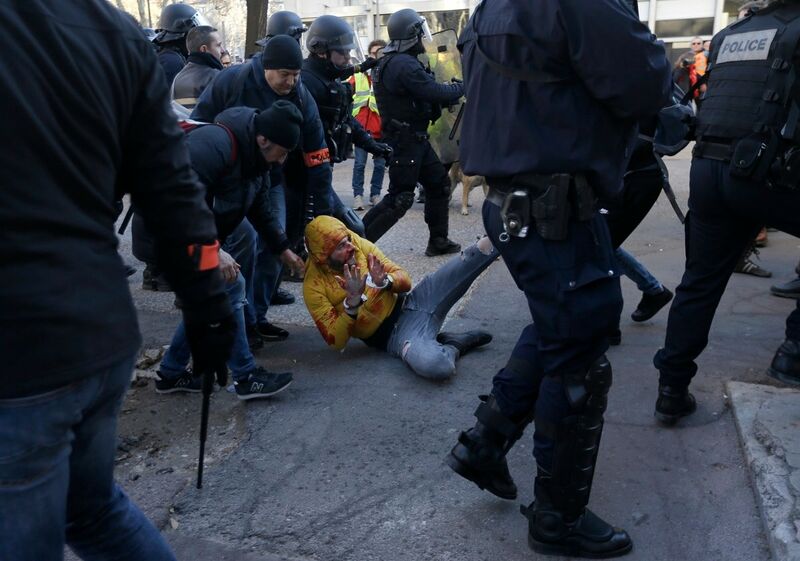 Sporadic violence broke out during protests Saturday in Paris, Bourges, Bordeaux, Rouen, Marseille and Toulouse. 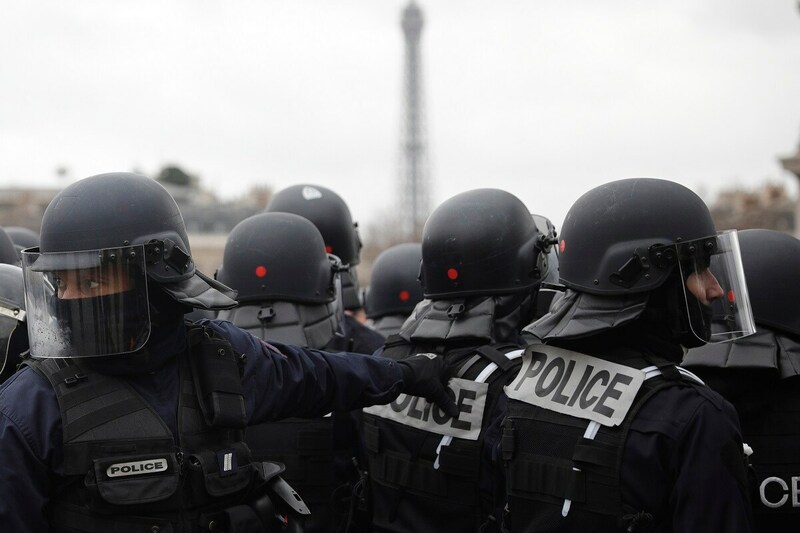 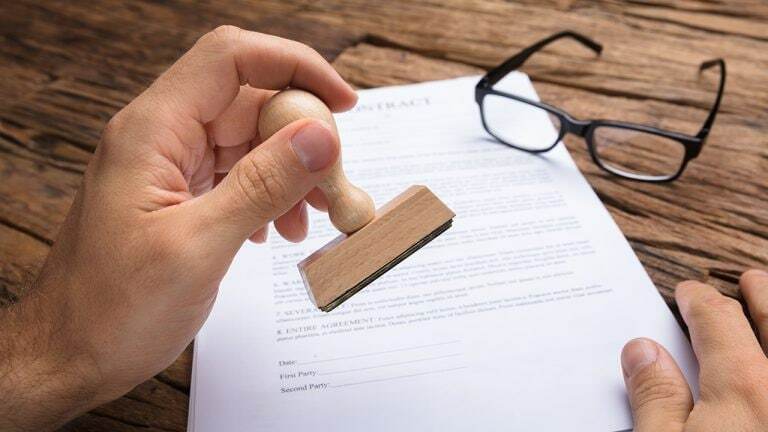 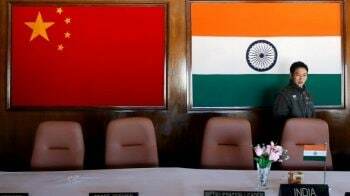 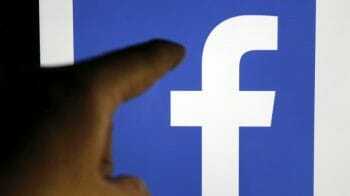 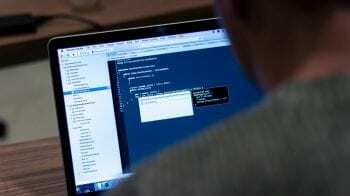 The Interior Ministry said more than 100 people had been arrested. 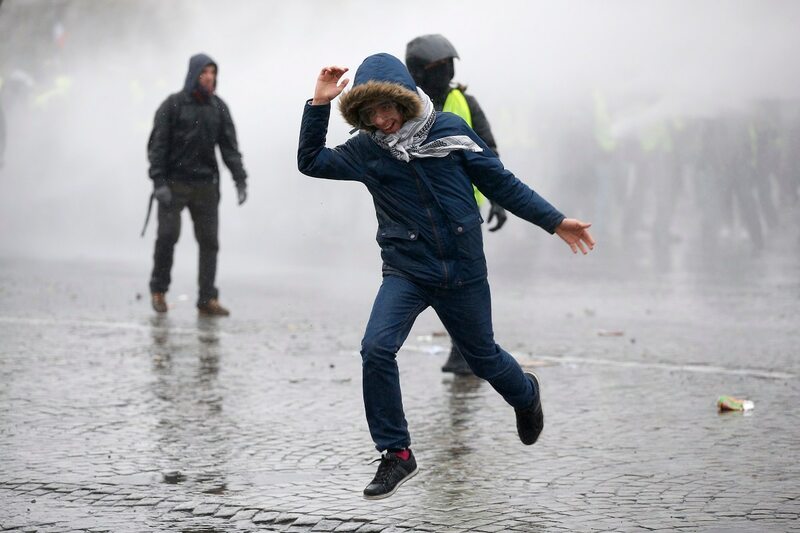 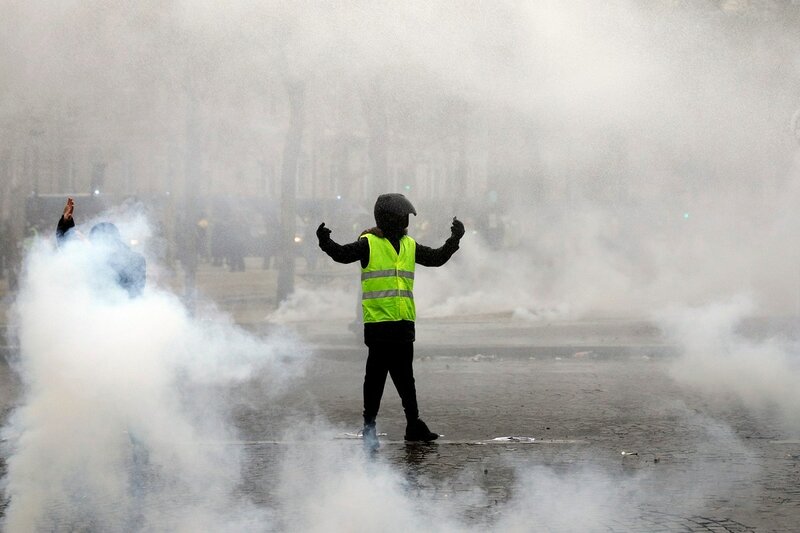 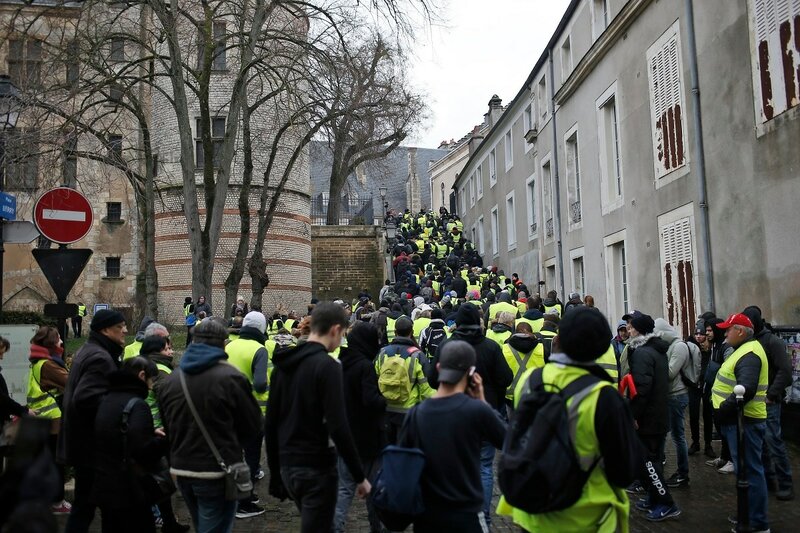 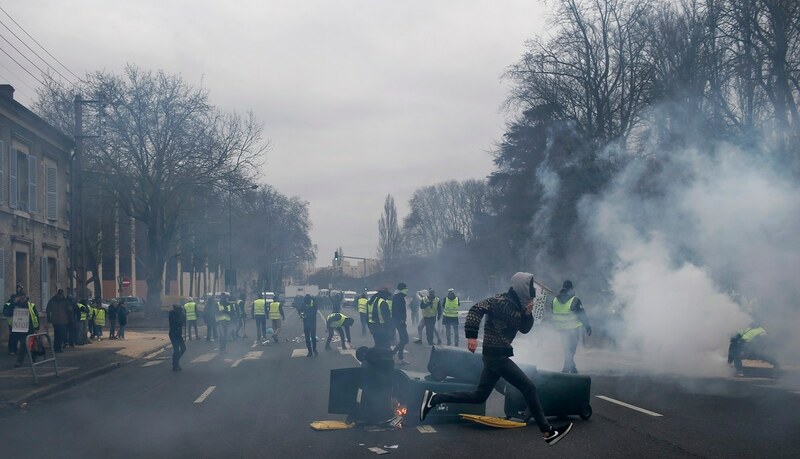 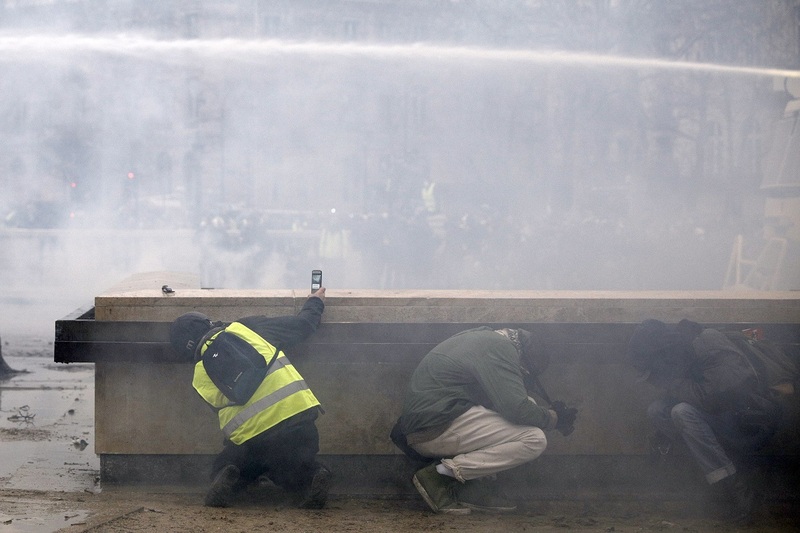 Protesters walked peacefully through central Paris from the Finance Ministry in the east of the French capital to the Arc de Triomphe in the west. 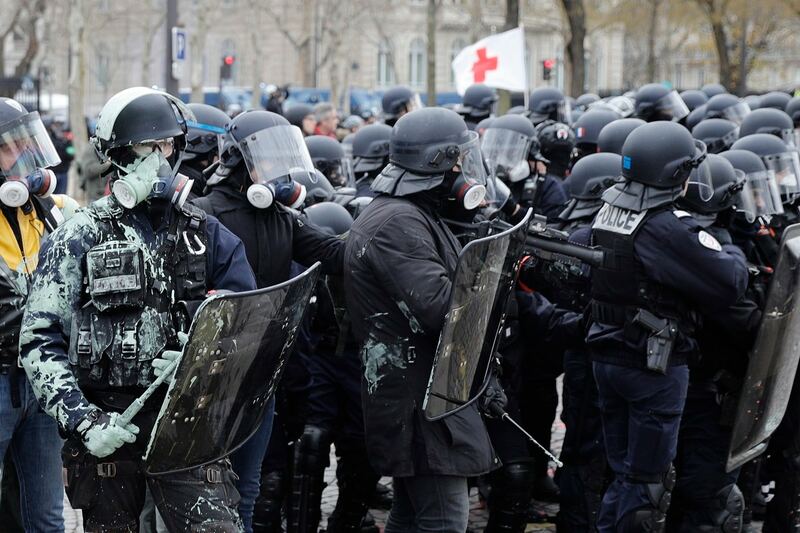 But scuffles between police and activists then broke out at the end of the march. 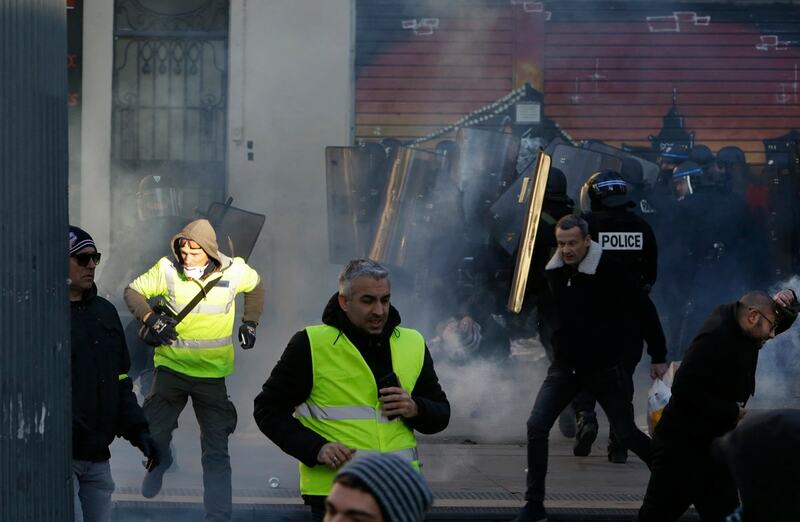 Police used tear gas and water cannon to push back some protesters throwing rocks and other objects at them. 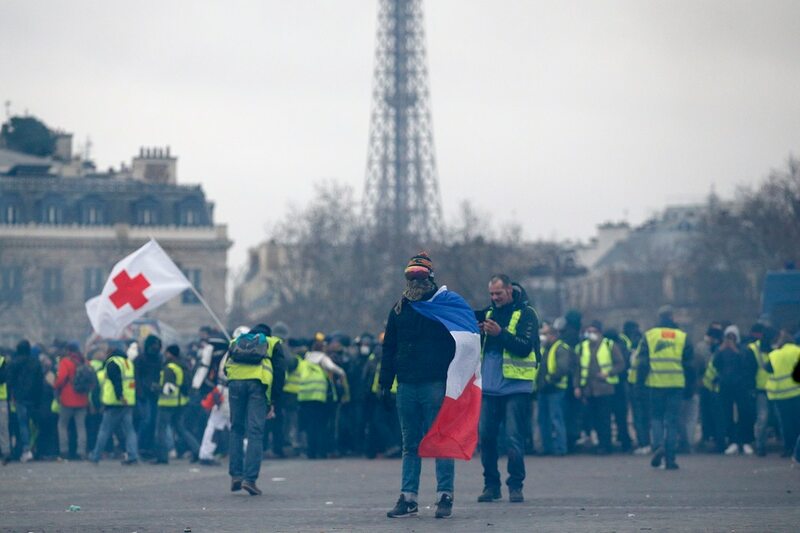 French armored vehicles blocked protesters from going onto nearby Champs-Elysees Avenue.The movement for greater economic equality appears to be resurging, despite Macron's promises of billions of euros in tax relief.